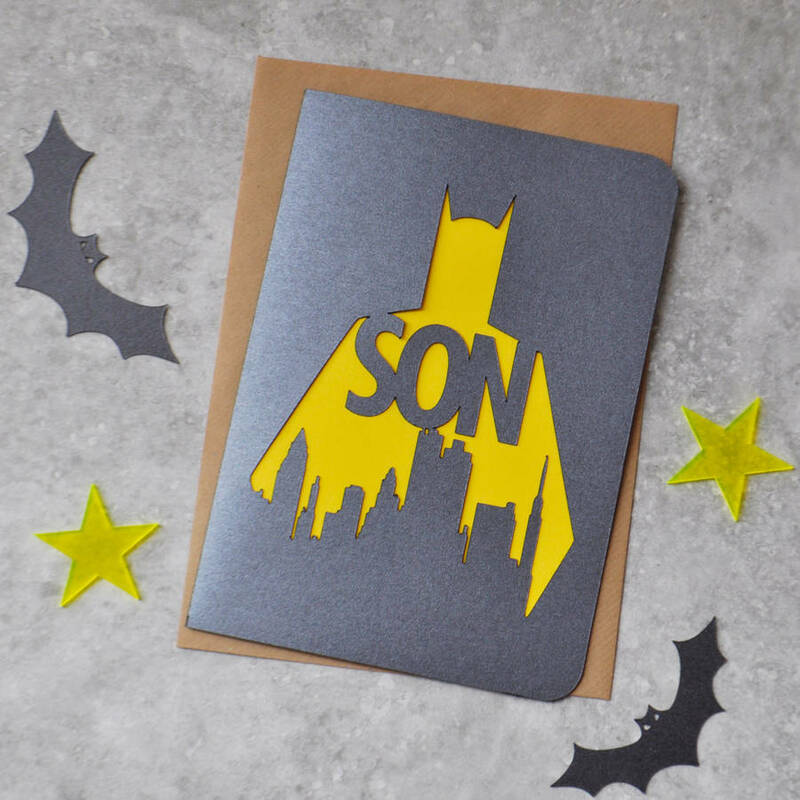 For any Caped Crusader or Dark Knight fan in your life, really make them feel just like a superhero with this Batman inspired card. 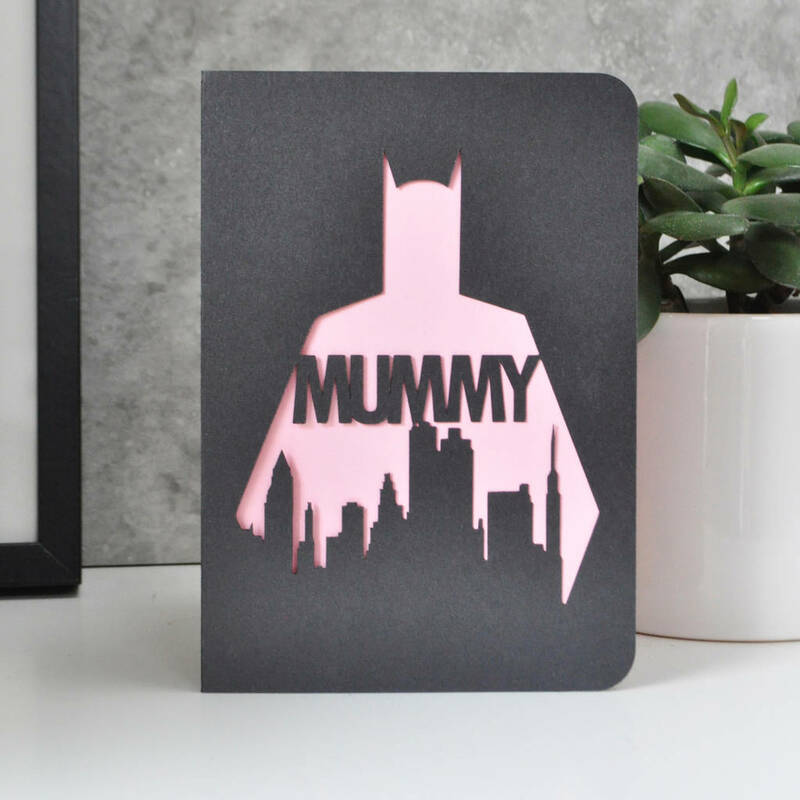 For all those Super Hero fans out there, a stunning gotham skyline inspired papercut card. It's almost like the bat signal being shone into the night sky. So who is Batman? 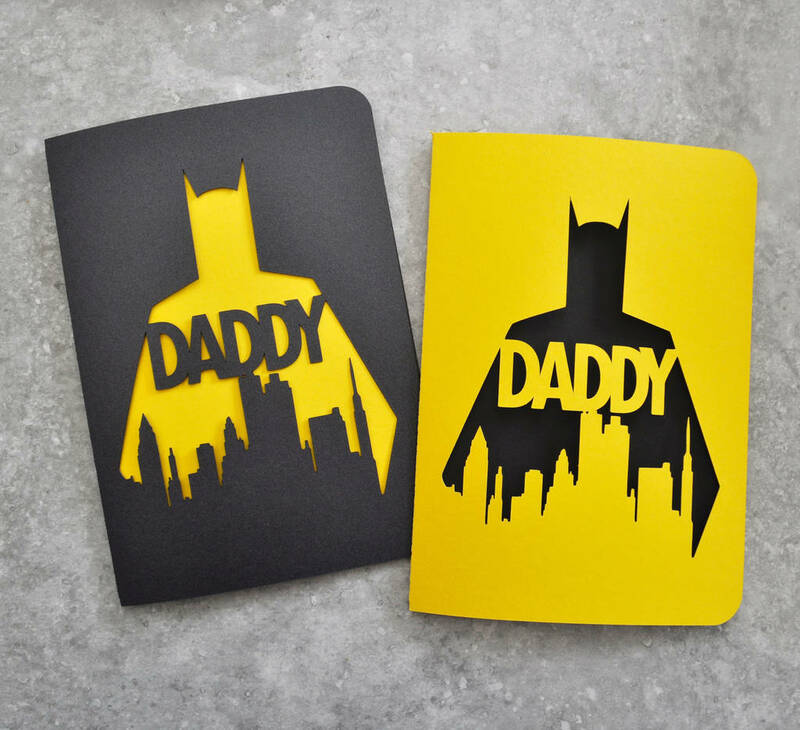 It can be personalised with a name of your choice whether it's dad, pop, grandad or Tom, Nick or Harry. 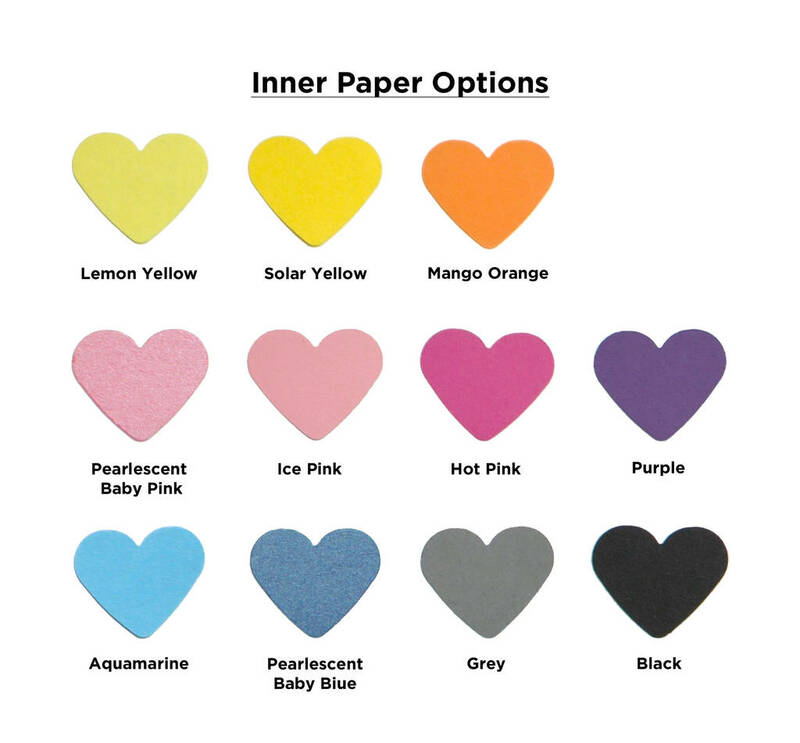 For the inner contrasting paper you can choose from a selection of beautiful 100% recycled and responsibly forested papers. 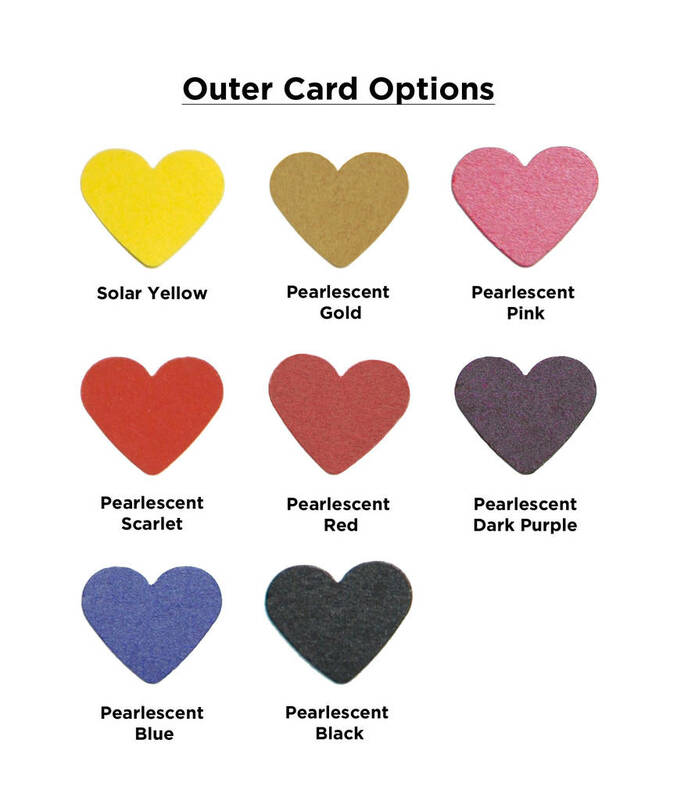 Designed, machine/hand-cut from a single sheet of card, with a contrasting coloured sheet of paper, hand-finished to ensure you have an entirely unique card. When folded the card is approximately 210 x 145 mm, and comes with a C5 envelope.